Scientific investigations of fire in microgravity and grippers inspired by geckos are among the nearly 7,500 pounds of cargo headed to the International Space Station aboard an Orbital ATK Cygnus spacecraft, along with equipment to support some 250 other experiments and studies aboard the world’s only orbital laboratory. 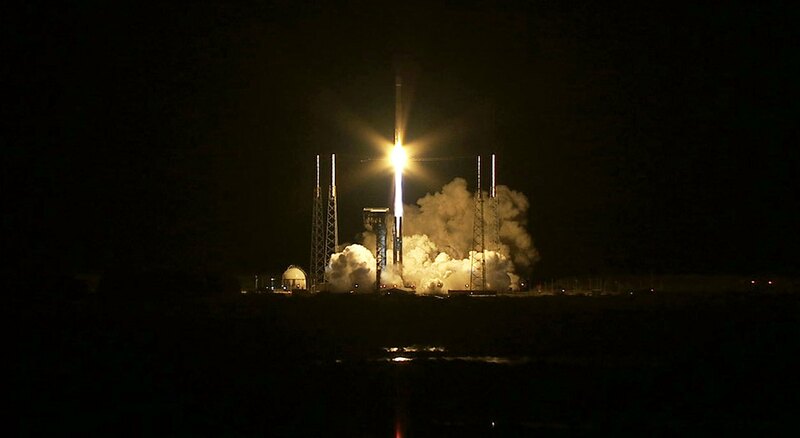 Orbital ATK’s fifth cargo delivery flight under its Commercial Resupply Services contract with NASA launched at 11:05 p.m. EDT Tuesday on a United Launch Alliance Atlas V rocket from Space Launch Complex 41 on Cape Canaveral Air Force Station in Florida. The Cygnus is scheduled to arrive at the orbiting laboratory Saturday, March 26. •Saffire-I provides a new way to study a large fire on an exploration craft, which has not been possible in the past because the risks for performing such studies on spacecraft with astronauts aboard are too high. •Meteor will enable the first space-based observations of meteors entering Earth’s atmosphere from space. •Strata-I could give us answers about how regolith behaves and moves in microgravity, how easy or difficult it is to anchor a spacecraft in regolith, how it interacts with spacecraft and spacesuit materials, and other important properties. •The Gecko Gripper study tests a gecko-inspired adhesive gripping device that can stick on command in the harsh environment of space. •The Additive Manufacturing Facility will add an upgraded 3-D printing capability to the station. NASA astronaut and Expedition 46 Commander Tim Kopra will capture Cygnus at about 6:40 a.m. Saturday, March 26, using the space station’s Canadarm2 robotic arm to take hold of the spacecraft. Astronaut Tim Peake of ESA (European Space Agency) will support Kopra in a backup position. NASA TV coverage of capture will begin at 5:30 a.m. This is the second flight of an enhanced Cygnus spacecraft, and the second using the Atlas V launch system. The cargo freighter features a greater payload capacity, supported by new fuel tanks and solar arrays, and an extended pressurized cargo module that increases the spacecraft’s interior volume by 25 percent, enabling more cargo to be delivered with each launch. The space station is a convergence of science, technology and human innovation that demonstrates new technologies and makes research breakthroughs not possible on Earth. The space station has been continuously occupied since November 2000. In that time, it has been visited by more than 200 people and a variety of international and commercial spacecraft. The space station remains the springboard to NASA’s next great leap in exploration, including future missions to an asteroid and Mars.